Welcome to The Best Direct Sales Companies! My name is Angie Nelson. I have been a direct sales consultant for some time and I know quite a bit about this home business option. 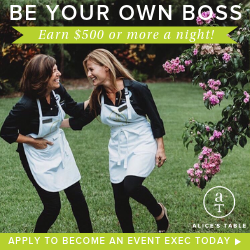 I know the fun that goes along with earning an income through direct sales. I also know there are hundreds of opportunities available. And not every opportunity is a good fit for everyone. There are several things to consider when signing up; the start-up investment, ongoing sales quotas, if you are able to market online, and much more. In The Best Direct Sales Companies you will find detailed information on some of the hottest home party business opportunities going. I control the content here, and this will hopefully give you the opportunity to get an unbiased look at the basics. You may also find a current consultant's website linked to in some of our posts. This is a person that is actively recruiting new team members and is available and ready to help you. You will find opportunities broken down in the sidebar by both product type and start-up cost. You can also view an alphabetical listing of available overviews in my Home Party Business Directory. New companies are added each week. Please join my email subscribers through the form below to ensure you don't miss your perfect business opportunity. And if you are a consultant looking to sponsor a post, please visit the Advertising page for details and opportunities.